About: Heat stroke is a condition caused by the body overheating and is most often associated with exposure to extreme temperatures. It has many catastrophic effects on the body. The normal body temperature of a cat is 100.5 to 102.5 (38.2 to 39.2), temperatures over 104 (40 C) are defined as heatstroke. Symptoms: Panting (open-mouthed breathing), bright red tongue, dark red gums, weakness, rapid pulse, wobbly gait, vomiting, diarrhea, drooling and blood in the urine. Diagnosis: This based on presenting symptoms and a history of exposure to extreme temperatures. Baseline tests including biochemical profile, complete blood count, and urinalysis to evaluate the organs for damage. Treatment: Decrease body temperature with cool enemas or intravenously. Oxygen therapy if needed. Cortisone injections and close monitoring. Medically known as hyperthermia, heatstroke is a life-threatening medical condition in which the body’s internal organs (liver, kidneys, lungs, heart, and brain) begin to shut down as a result of elevated body temperature caused by high temperatures and humidity. Cats protect themselves against high temperatures by panting and licking their fur, however, they can overheat very easily. More so than humans, as panting isn’t a particularly efficient way to cool down the animal. The normal body temperature of a cat is 100.5 to 102.5 degrees Fahrenheit or 38.2 to 39.2 Celsius. If the outside temperature is warmer than the cat’s internal temperature heatstroke is a very real possibility. Heatstroke is a medical emergency which can lead to organ dysfunction, blood clotting disorders, coma, and death. It must be treated urgently. Prolonged exposure to heat and/or activity in hot weather where the body is no longer able to efficiently cool itself down. Any cat can develop heatstroke however some are at greater risk. Capillary refill time of less than 1 second. To test this, lift your cat’s upper lip and place a finger on the gum applying a small amount of pressure. Remove your finger, and you should see the gum has turned white. Time how long it takes for the area to turn pink again. Bleeding from the nose (this is indicative of disseminated intravascular coagulopathy [DIC]), which is a condition in which the blood clotting system fails. Even in the cooler months, but this is especially important in hot weather. If you are travelling with your cat in the car, provide adequate ventilation or use the air conditioning. If your cat is allowed outside (either free to roam or in an enclosure) make sure they have access to a shaded area where they can escape from the sun and heat. It is especially important not to confine the cat to any room where temperatures are especially high, such as a sunroom. 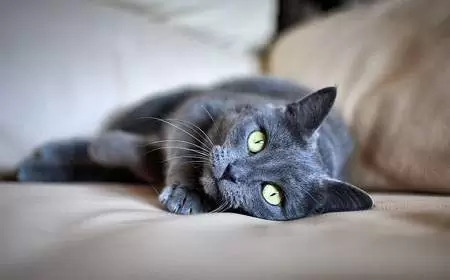 Rooms with large windows or east facing rooms (in the Southern Hemisphere) tend to become hotter in afternoons so make sure your cat has access to cooler parts of the house. Cool flooring such as tiles and slate can offer relief. My dogs like to lie on the kitchen floor on hot days as it’s away from the sun and has slate flooring. Always ensure your cat has an adequate supply of fresh, cool, clean water, indoors and outdoors. On warmer days, add some ice cubes and make sure you have more than one water bowl. Locate bowls out of direct sunlight. Limit exposure to the outdoors in the hotter months. 11.00am and 3.00pm are the hottest times, keep your cat indoors during this period. Keep your cat indoors during hot days, and if possible with the air conditioning or a fan turned on. This can help to keep the room cool. Popsicles for cats can be a novel way to keep your cat cool when the heat hits. These can be made from lactose-free cat milk (available from your supermarket) or canned cat food. Add milk or wet food to ice cube trays and freeze overnight. Take one or two frozen catsicles out as a cool treat. Fill old soft drink bottles with water (don’t fill right to the top as water expands when it is frozen). Take out and wrap a towel around the bottle. Place where your cat sleeps. I have found that even on extremely hot days my cats won’t always move themselves to a cooler part of the house, sometimes you have to do it for them. Should I treat my cat at home and how? Move him to a cool/shady spot, turn on air conditioning or fans if possible to cool the cat down and help with evaporative cooling. Slowly bring the cat’s temperature down at home by wrapping him in cool, damp towels. Keep water away from the mouth and nose. Spray the cat with cool water. Apply ice packs or frozen vegetables to the head and between the legs. Put rubbing alcohol on the cat’s paws and legs to assist in bringing the temperature down. Offer plenty of cool, fresh water to drink. Once the body temperature has returned to normal, stop cooling or you may cause hypothermia in your cat. Monitor your cat’s rectal temperature, every 5 – 10 minutes. Once you have brought your cat’s temperature down take him to the vet. The cat may appear to be over the incident, but the damage may have been caused to the organs, so it is always recommended your cat is given a check over by a veterinarian. Take the cat to the vet immediately. If possible, have somebody else drive, while you attempt to bring down the temperature on the way via the above methods. Your veterinarian will carefully bring your cat’s body temperature down to a safe level with lukewarm water and fans. Intravenous crystalloid solution until the veterinarian sees an improvement. Your cat will be carefully monitored for signs of kidney or liver failure or disseminated intravascular coagulation. Cats who have suffered heat stroke are at increased risk of developing it again. So it is important to take the necessary steps to avoid this. 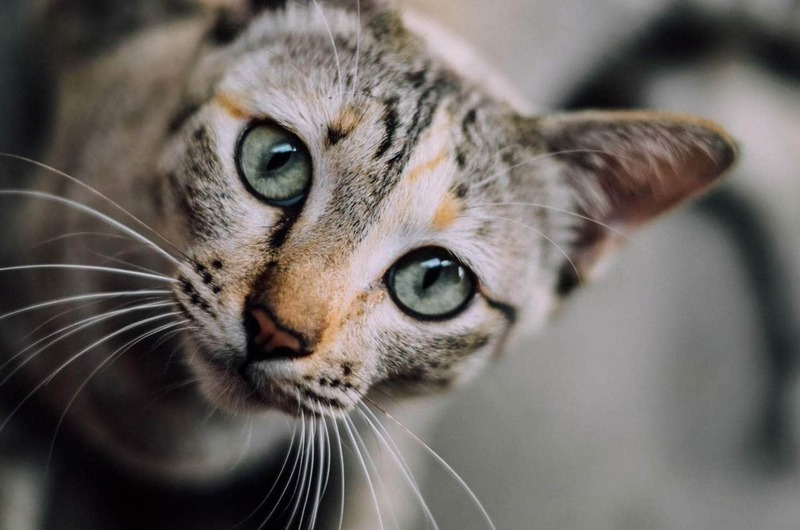 Carefully monitor your cat’s health for signs of possible long-term damage caused by the heatstroke and speak to your veterinarian if you see anything unusual. Watch for blood in the urine. Your veterinarian may prescribe a special diet which will put less strain on the damaged kidneys. Cat Owner’s Home Veterinary Handbook by Delbert G. Carlson and James M. Giffin.